Most–but not all–ceilings are essentially horizontal walls, built using the same materials and methods as their vertical counterparts. 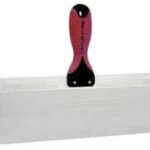 The main difference between a ceiling and a wall is that the wood framing members behind the surfaces of ceilings are joists or rafters rather than wall studs. 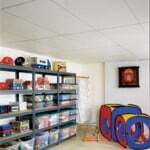 As with walls, by far the most common surface materials for ceilings are drywall and plaster. The conventional ceiling is 8 feet high and flat, but, when it comes to departing from this norm, the sky is the limit. 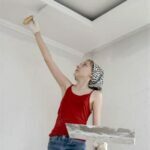 In this section of HomeTips, you will find information about the various types of ceilings installed in houses and the materials and do-it-yourself techniques used to build and repair them.